Welcome to the Cable Television Division broadband page! The Cable Television Division works to promote and facilitate access to affordable, broadband-level telecommunications service across the State so that all residents may benefit from the many online applications, programs, and resources available, including telework, e-learning programs, and online job, health, and government services. State Designated WiFi Hotspots Offering 1 Hour of Free Service – Click here for locations! See description below. 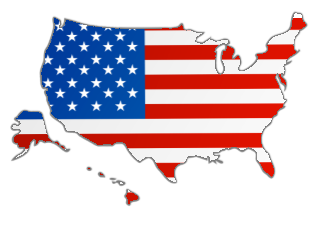 Click here for interactive map of results. “No Internet Service” Mapping Tool – New application allow users to report locations with no available internet service. See below for more information. Measuring Broadband America – Want more information on your home internet speeds? Click here to participate! DCCA is pleased to provide this Report of Fixed Wireline Broadband Speeds in Hawaii issued in June 2018. 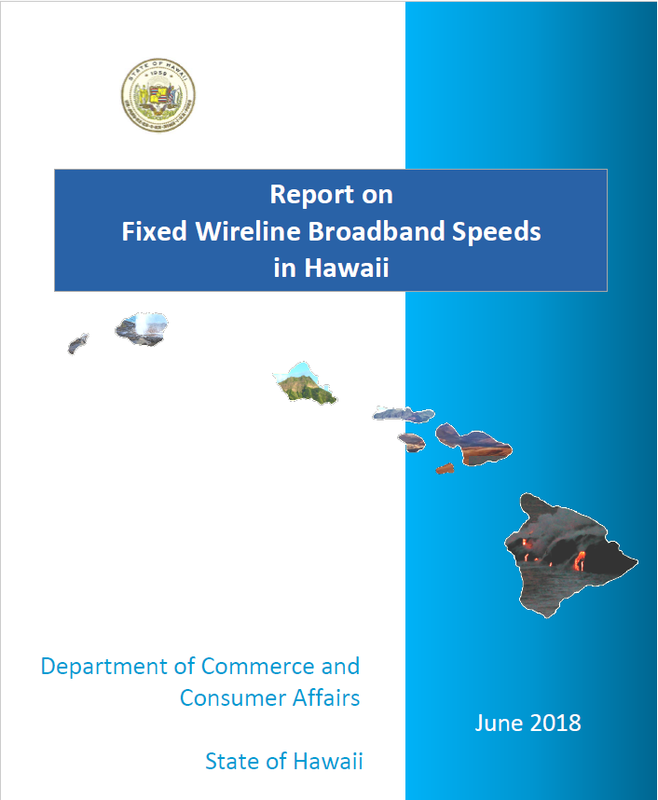 This report is based upon DCCA’s analysis of fixed wireline performance data obtained from Ookla, proprietor of Speedtest.net, which collects speed test data from over a million consumer-initiated speed tests taken in Hawaii annually. This report, which reflects one method of evaluating existing Internet service offerings in the State, is offered as a supplement to the Federal Communications Commission’s deployment data below. To access the complete report click here. To access interactive version of the map included in the report, click here. DCCA has created this tool to allow residents to map their location to report that no internet service is available in their community by mapping that location. 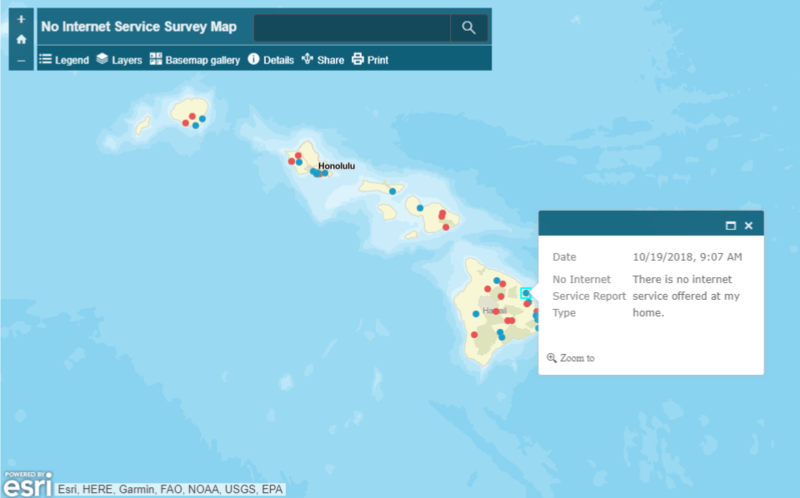 This information can help identify unserved or underserved locations to assist policymakers and other stakeholders in efforts to improve connectivity to those areas. To access the “No Internet Service” mapping tool click here. Thank you for your participation! The FCC is the federal agency responsible for implementing and enforcing the nation’s communications law and regulations. The FCC also promotes competition and investment in broadband services and facilities. As part of this work, the FCC collects and publishes data and reports on broadband availability across the nation based upon deployment data reported by facilities-based providers of broadband service on its Form 477. Two FCC resources that rely primarily upon the Form 477 deployment data are the FCC’s (1) annual broadband deployment reports; and (2) broadband deployment maps. The broadband deployment reports and maps include availability data for Hawaii, as noted or linked to below. Note: The Form 477 data is reported at the census block level, not the household level, and a whole census block is classified as served if the Form 477 data indicates that service is being provided anywhere in the block. Thus, the Form 477 data may overstate the deployment of services. The Form 477 data may also overstate or understate the deployment of services to the extent that broadband providers fail to report data or misreport data. Eighth Measuring Broadband America Fixed Broadband Report The full Report may be accessed here. This Report provides a snapshot of fixed broadband access service performance across the U.S. using data collected in September 2017 as part of the FCC’s Measuring Broadband America program. The program is an ongoing nationwide study of consumer broadband performance, measuring network performance delivered on selected service tiers to a representative sample of the population. Click here to participate. The Report includes data on Charter’s nationwide service and on Hawaiian Telcom DSL service. Fixed Broadband Deployment Map –The FCC publishes maps to help the public visualize fixed-broadband deployment data, including this map which allows users to to filter and display deployment data based on a variety of technologies (ADSL, cable modem, FTTP, fixed wireless, satellite and other) and broadband speeds (at least 200 kbps, 10 Mbps downstream / 1 Mbps upstream, 25 Mbps downstream / 3 Mbps upstream, etc.). For more information on how to use this map, please see the Fixed Broadband Deployment Map’s “About” page. You may also enter an address and see service availability, a list of providers who report service availability for that location with the type of service offered and the maximum speeds offered, and demographic information.